View of Supersurface: An Alternate Model of Life on Earth, by Superstudio, in Italy: The New Domestic Landscape, MoMA, 1972. Photo: Copyright Cristiano Toraldo di Francia. Environments and Counter Environments: Experimental Media in The New Domestic Landscape, 1972 is the first book to retrieve archival material and footage related to the famously lost media projects associated with the 1972 exhibition Italy: The New Domestic Landscape at the Museum of Modern Art. The book and DVD compile the original films and videos from the exhibition, documents related to the exhibition’s Implicor Computer system, as well as intensive documentation of the temporary environments conceived for the exhibition. The work of the architects, architectural groups, and radical design collectives that Emilio Ambasz curated for the 1972 exhibition represents some of the most vital and energetic responses to the complex and politically fraught architectural debate in Italy of the 1970s. Within the exhibition’s taxonomy of design strategies, the “environmental” was the most unsettling, implying a broad reconditioning of social behaviors, arrangements of domestic life, and modes of habitation. Through such “environments,” alternate models of organization—the biological, cybernetic, and ecological—entered architecture as a challenge to its forms of practice and self-description. Craig Buckley teaches at the Graduate School of Architecture, Planning, and Preservation, Columbia University, where he is also director of print publications. He is a PhD candidate in the School of Architecture at Princeton University and the coeditor of several books, including Clip/Stamp/Fold: The Radical Architecture of Little Magazines, 196X-197X with Beatriz Colomina (ACTAR Press, 2010), Utopie: Texts and Projects, 1967-1978 with Jean-Louis Violeau (Semiotext(e), 2010), and Solid States: Concrete in Transition with Michael Bell (Princeton Architectural Press, 2010). As a curator his exhibitions include Clip/Stamp/Fold: The Radical Architecture of Little Magazines, 196X-197X, Several Ways Out (Oslo, 2005), and Adaptations (New York/Kassel, 2003). Peter Lang is associate professor with the department of architecture at Texas A&M University. He writes on the history of post-war Italian architecture, with a focus on Italian experimental design from the 1960s. 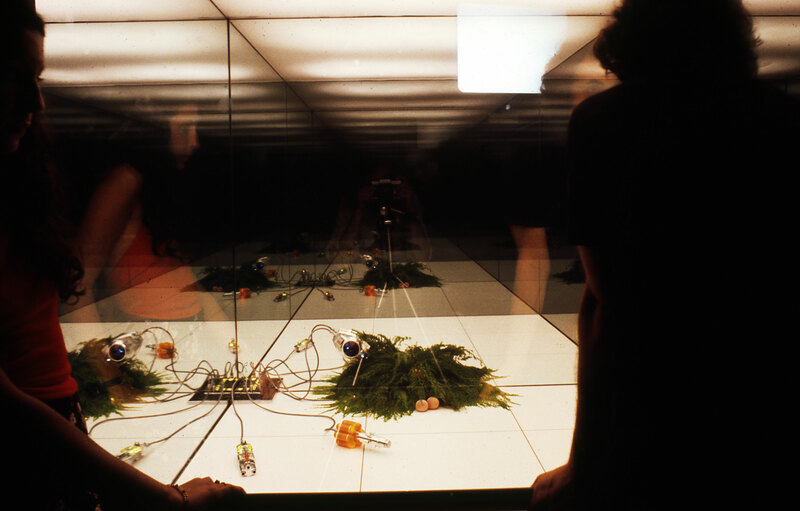 Lang recently co-curated Environments and Counter Environments: Experimental Media in Italy: The New Domestic Landscape, MoMA 1972 (2009). In 2008, Lang was invited to be a moderator and editor for Archiphoenix: Future Faculties for Architecture at the Venice Biennial. Lang also co-curated with William Menking the travelling exhibition Superstudio: Life without Objects (2003) and co-authored the book of the same title for Skira editore. Luca Molinari is associate professor of history of contemporary architecture at the Faculty of Architecture, Naples. Awards include the Ernesto N. Rogers prize (2006) and the UIA Jean Tschumi Prize for architectural criticism (2008). Curated and designed exhibitions include Gold Medal for Italian Architecture (Triennale Milano), Check-in-architecture (UIA congress Turin; Architecture Biennale, Venice), Sustainab.Italy (London, Singapore), and Environments and Counter Environments: Experimental Media in Italy: The New Domestic Landscape, MoMA 1972 (2009). Publications include: Barcelona: Architetture e Spazi Urbani, 1975-1992 with Mario Fosso (1993), Massimiliano Fuksas, 1970-2005 (2005), Continuità: A Response to Identity Crises. Ernesto Nathan Rogers and Italian Architectural Culture after 1945 (Delft, 2008). Mark Wasiuta studied at the University of British Columbia, Princeton University, and Harvard University. He is on faculty at Graduate School of Architecture, Planning, and Preservation, Columbia University, where he is also director of exhibitions. Recent awards are from the Graham Foundation for Advanced Studies in the Fine Arts, the Canadian Social Sciences and Humanities Research Council, and the Banff New Media Institute. He has co-curated, curated, or designed the exhibitions Environments and Counter Environments: Experimental Media in Italy: The New Domestic Landscape, MoMA 1972, Ant Farm: Radical Hardware, New Soviet People Will Conquer Cosmic Space, Dan Graham's New Jersey, Operators' Exercises. Recent published work has appeared in JSAH, Cabinet, Explorations and Deviations. Mark Wigley is dean, Graduate School of Architecture, Planning, and Preservation, Columbia University. An accomplished scholar and design teacher, he has written extensively on the theory and practice of architecture and is the author of Constant's New Babylon: The Hyper-Architecture of Desire (1998), White Walls, Designer Dresses: The Fashioning of Modern Architecture (1995), and The Architecture of Deconstruction: Derrida's Haunt (1993). He co-edited The Activist Drawing: Retracing Situationist Architectures from Constant's New Babylon to Beyond (2001). Wigley has served as curator for widely attended exhibitions at the Museum of Modern Art, New York; The Drawing Center, New York; Canadian Centre for Architecture, Montreal; and Witte de With Museum, Rotterdam. He received both his Bachelor of Architecture (1979) and his PhD (1987) from the University of Auckland, New Zealand.